The feeling I used to have moments before a first date is the same feeling I get before I swim in a new body of water – a trill in my sternum, tiny bubbles floating inside my arms. I get nervous and chatty and fidgety. My whole face aches from smiling, beaming. I wasn’t planning on swimming in Uruguay. 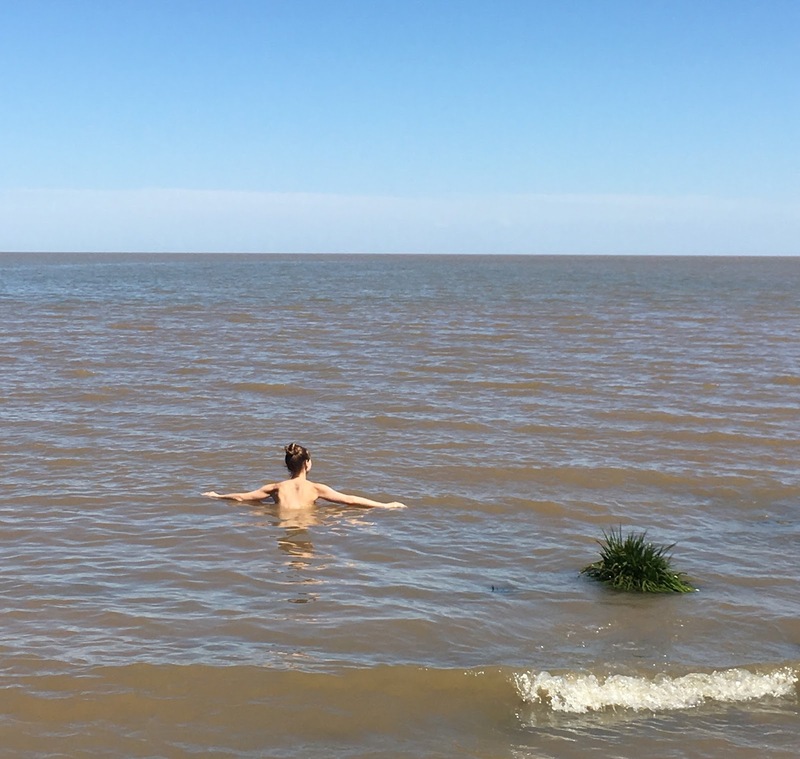 I wasn’t even planning on BEING in Uruguay, but I was in Buenos Aires for a month with my family and Colonia, Uruguay is an hour-long boat ride away, and so, we packed a picnic and a lot of sunscreen and headed across the strangely purple Rio de la Plata for an afternoon. I almost didn’t swim in the river – I forgot a suit, and a towel and we didn’t have much time before we’d have to head back to the hovercraft*. And the water was a thick, muddy purple that was a bit suspect (Wikipedia has since assured me it’s just silty and shallow, hence the purplish grey colour). 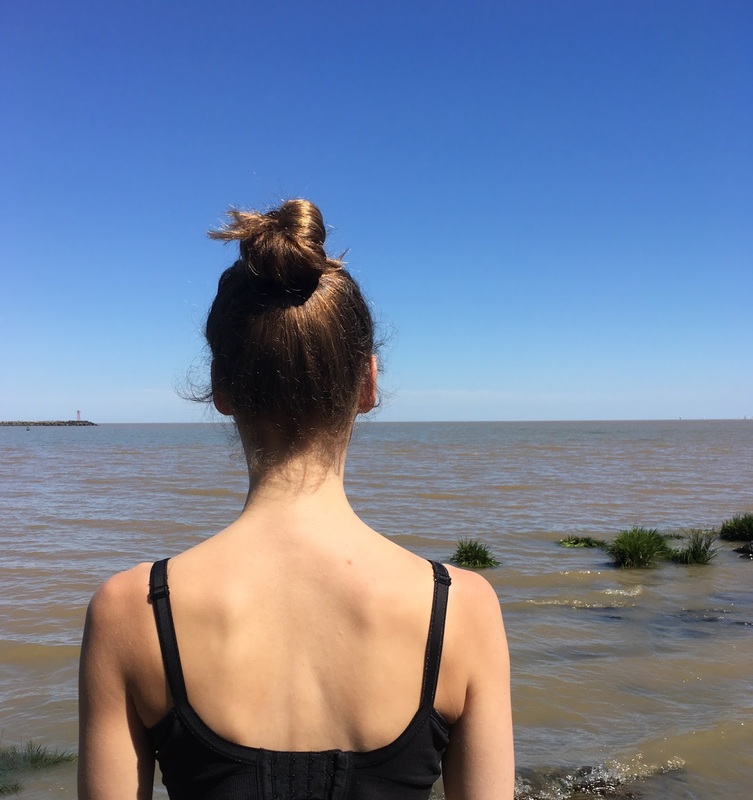 But it was hot, so, so hot and other people were swimming, so, I stripped down and half-skinny dipped in the world’s widest river on a sunny afternoon in March. It was shallow. SO shallow. And so rocky, but it was warm and glorious and floating staring up at a sky that is far away from home is one of my greatest pleasures. I also learned that muslin baby blankets are PERFECT substitute towels. Fun facts I’ve learned since: The Rio de la Plata is home to a rare breed of dolphin that swims in both salt and fresh water. It is NOT home to alligators, thank god, a fact that didn’t cross my mind until my sister texted me, horrified.